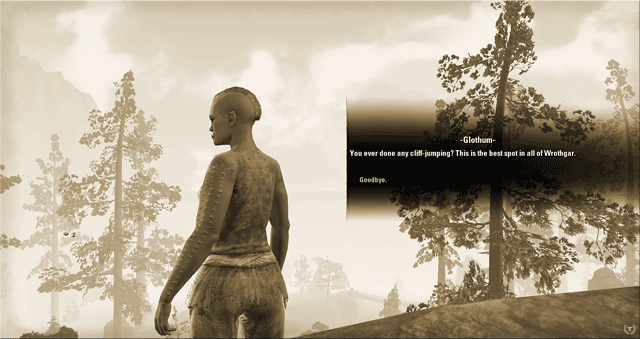 This journal entry explains where to obtain the Wrothgar Cliff Jumping Achievement in the Orsinium DLC. In the southeastern part of Wrothgar, in the Frostbreak Ridge region, Glothum the cliff jumper can be found over looking a cliff next to a high waterfall. 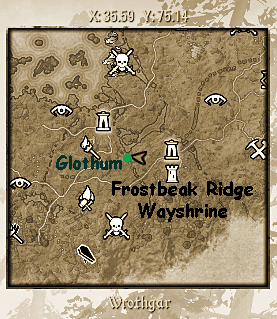 In order to get the achievement, the jump needs to occur on the left side of Glothum.